Stansport Adventure Two-Person Backpacker Dome Tent | BUDK.com - Knives & Swords At The Lowest Prices! Dimensions: 78" x 66" x 43"
This Stansport Two-Person Adventure Dome Tent features an open mesh top that provides a great view of the evening sky, plus, keeps those annoying insects out so that you can enjoy it. The tent is made of strong polyester and the durable polyethylene floor provides added wear resistance. It's easy to set up with the two poles that fold down into 18" sections for very compact packing. A quarter fly is included to keep you dry when weather turns rainy. 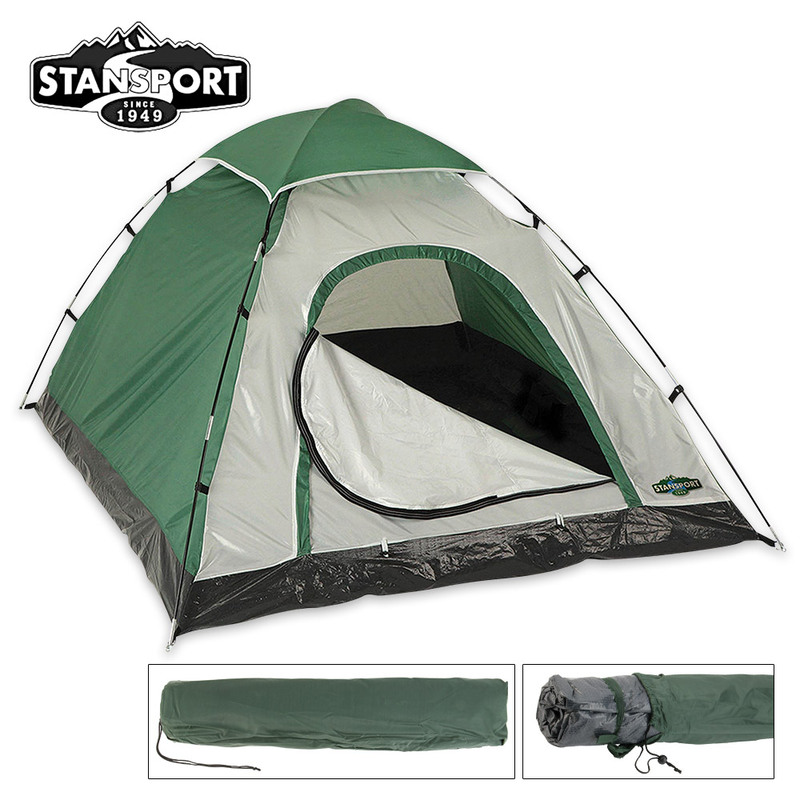 This two-person tent meets CPAI 84 flame retardant specifications. If you're looking for just an all-around great tent for camping trips or backyard adventures, the Stansport Adventure Backpacker Dome Tent fits the bill! Yep this tent is a great, set up is very easy. I needed a good two person easy set up tent and boy this is it, it's roomy also do not see any problems with two having plenty of room and if your solo you will have plenty of space to keep gear inside. For the price you can't beat it. I would say that this tent is probably a two maybe three season tent but you never know? I am very satisfied with it I haven't used it yet but did set it up which took maybe 8 minutes lol and waterproofed/ seam sealed it. 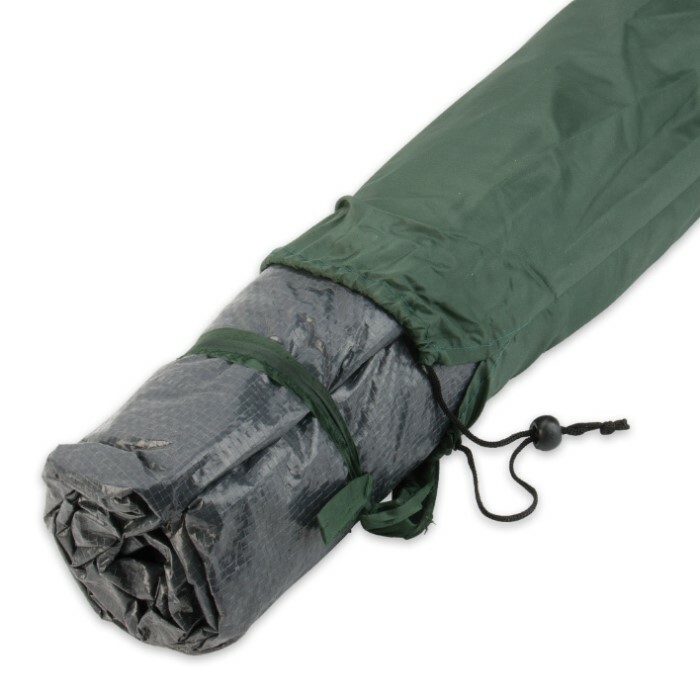 Shipping time was wicked quick thanks..
WoW, this tent is awesome and set up is a snap (literally) 2 poles snap to the exterior of the tent, so there isn't any of that feeding poles through the tent like curtain rods. I bought this tent along with the stansport self-inflating sleeping pad and the multimat pillow all from this site and all for around $80 (what a deal) All these products were in great condition and arrived quickly in the mail and all 3 exceeded my expectations. I figured I would be cutting corners by saving so much money, but the quality was there. I laid in this spacious tent for about an hour and when I stepped out I noticed the room felt significantly cooler than inside the tent, but inside the tent didn't feel hot. I'm looking forward to using this tent on all my camping trips and am very satisfied with this purchase. Thanks Budk. It's bigger than we expected for the price!